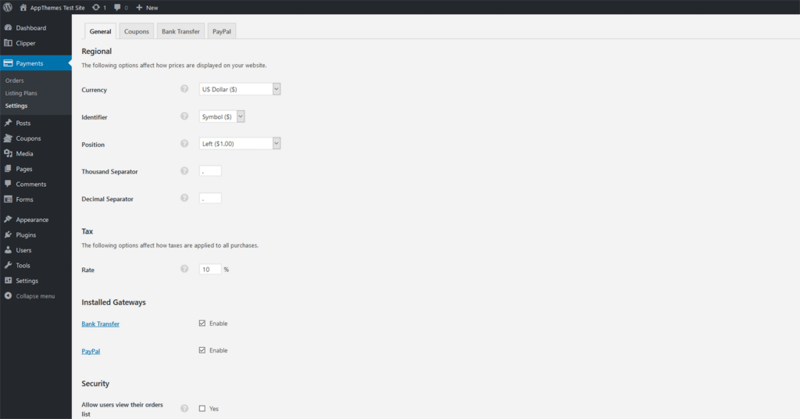 Editing coupons from the admin area is a breeze with our custom write panel. All custom fields and taxonomies are neatly organized and labeled in a single panel. Choose from five different color schemes. You can also upload your own logo which makes it easy to brand your site. 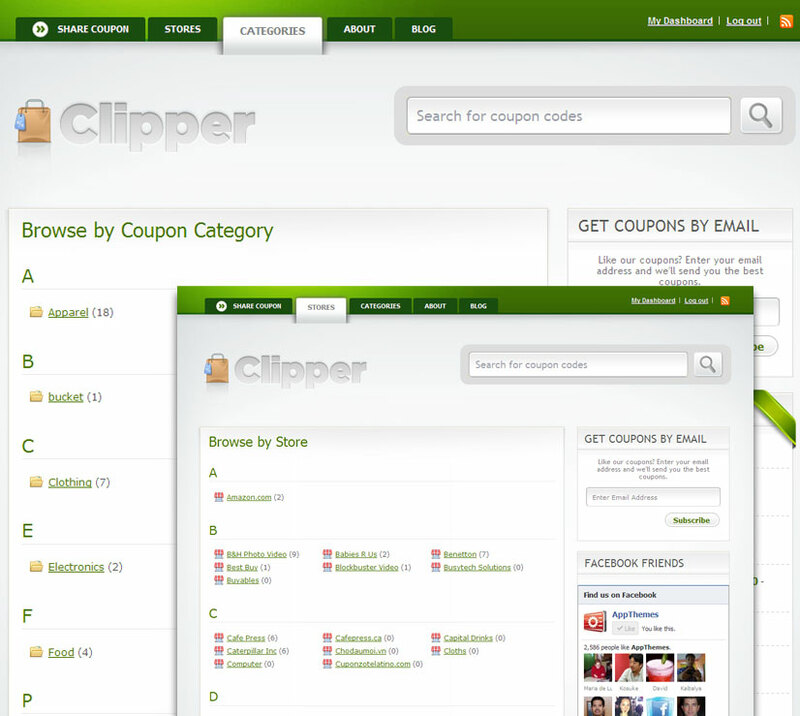 It’s easy to start listing coupons on your site. The coupon form can require visitors to register first or keep it open for everyone to submit coupons. It also includes an optional built-in ReCaptcha challenge box to deter spam. 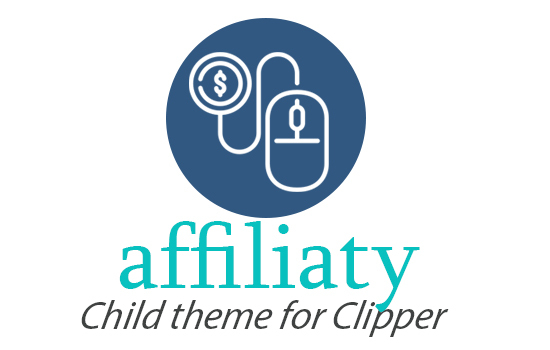 Our themes include several advertising spots which allows you to easily make extra income from your site. 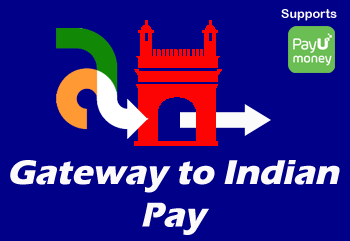 It’s great for Google AdSense or affiliate banners. Just paste in your code. 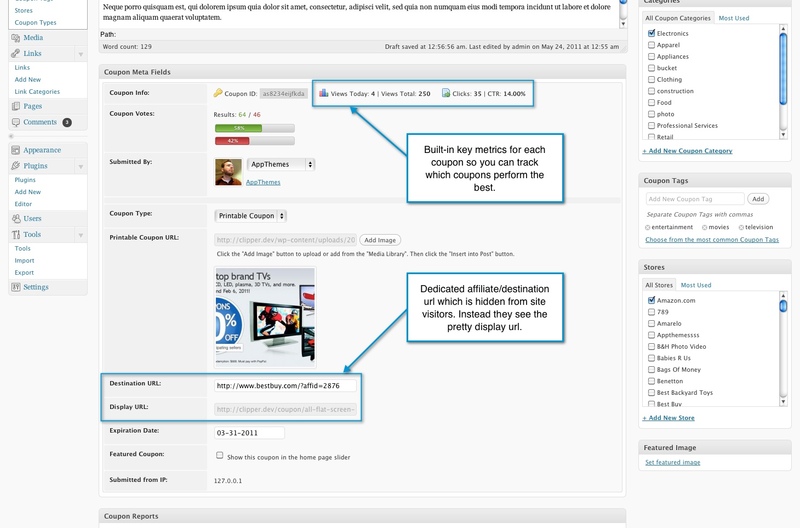 Knowing which coupons and blog posts are the most popular is important. We’ve built a stat system to keep track of how many daily and total views each coupon and blog post has received. Allow your site visitors to report problems on any coupon by selecting from a list of pre-defined values (customizable by you). Within each coupon edit panel, you’ll be able to see every single problem reported in a neatly organized table. The money is in the list, right? 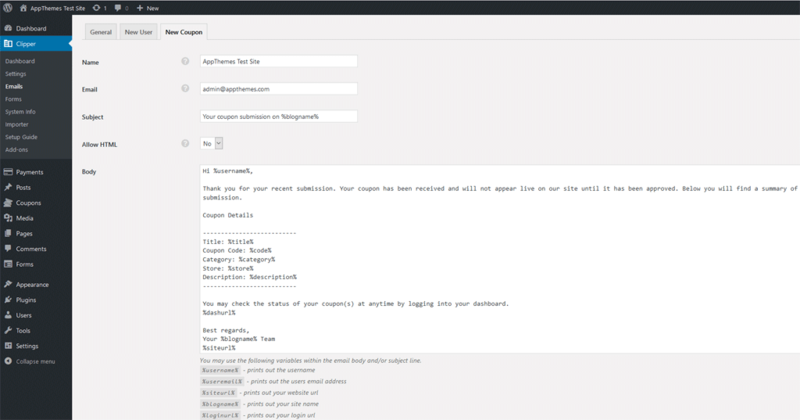 Clipper includes a subscription sidebar widget which supports a number of email auto-responder systems such as MailChimp, Aweber, Constant Contact, Vertical Response, and more. WOW! Clipper is awesome. Features are excellent. Design is impeccable. Great job! 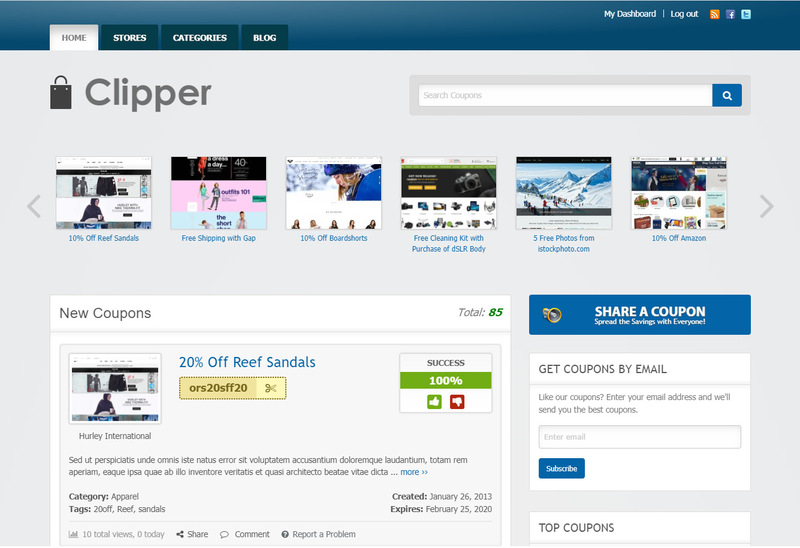 Clipper is the ultimate and most feature-rich WordPress theme for creating a coupon site. We’re huge fans of AppThemes and really happy customers!